Best grown as a ground cover in full sun and medium to dry, well-drained soil. Tolerates partial shade as well as clay soils, provided they have good drainage. Tufted white flower clusters bloom in mid to late spring and are attractive for about three weeks. Pollen is gathered from the flowers by small bees, as well as syrphid and tachinid flies. Caterpillars of the American Painted Lady butterfly feed on the foliage. Adventurous gardeners seeking to draw more pollinators should not be put off by this large shrubs spiny stems and spreading habit. Large clusters of fragrant, white flowers are borne in mid to late summer and remain effective for several weeks. The flowers are a highly attractive source of both pollen and nectar to bees of all kinds. It’s not unusual to observe clouds of flying insects surrounding the flowers at peak bloom. After the flowers fade, the branches of the fruiting inflorescence turn pinkish-red, lending ornamental value. Clusters of dark blue or black berries are consumed by fall-migrating songbirds. Blue-violet to purple flowers with yellow disks bloom in early to mid-fall, remaining effective for about one month. Both pollen and nectar are gathered by many insects, including bees, flies, butterflies, skippers and beetles. The foliage is also a food source for the caterpillars of both the Silvery Checkerspot and Pearl Crescent butterflies. Full sun and well-drained, acid soils are ideal for best growth. This long-blooming, showy ornamental tolerates a wide range of growing conditions from full sun to part shade. Many species of insects are highly attracted to the flowers, including bees, butterflies and beetles. Tiny crab spiders are frequently observed lurking on coneflowers waiting to ambush small prey. The flowers are often subtly fragrant. Finches are particularly fond of the seeds, harvesting them in summer, fall and winter. Often overlooked by gardeners, this adaptable perennial grows in full sun to partial shade, and medium to dry soils. It tolerates drought, as well as clay soils with high pH. 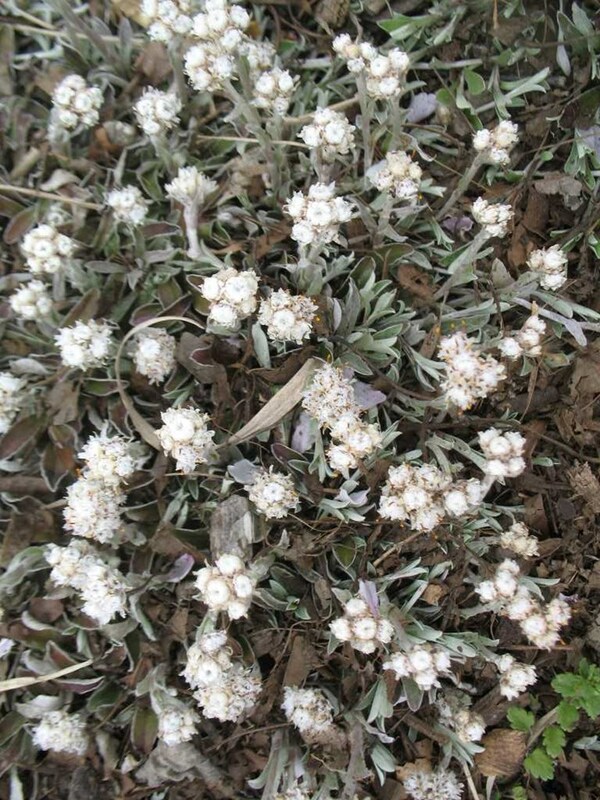 Its numerous small, white flowers are borne in late summer to early fall, lasting about four to six weeks. The nectar is highly attractive to a wide range of insects, including bees, wasps, flies, butterflies, plant bugs and beetles. Though difficult to find in the nursery trade, it is easy to grow from seed, and an excellent choice for pollinator, and informal, "wild" gardens. Purplish-pink flowers are borne from mid to late summer, lasting about one month. The nectar is attractive to many types of bees, butterflies, skippers, moths and bee flies. In addition to nectar, honeybees also gather pollen from the flowers. The attractive flowers are often fragrant. Attractive mauve pink flowers may be borne from July to September, typically lasting about one month. The nectar is highly attractive to bees, butterflies, skippers and moths. This underutilized perennial wildflower bears spreading clusters of fragrant white flowers in late summer to early fall, often lasting for a month or more. Either nectar or pollen attracts many types of pollinators, including bees, butterflies, flies, wasps and beetles. Tolerant of flooded conditions for short periods of time, common boneset can make an excellent choice for rain gardens. This mid-summer bloomer flowers for about one month. The nectar is particularly attractive to bees, butterflies and ruby-throated hummingbirds. The caterpillars of several moth species feed on the foliage. Other Missouri native monardas that are also attractive to pollinators include spotted bee balm (Monarda punctata) and Eastern bee balm (Monarda bradburiana). White or pink flowers blooming in May or June remain effective for about 2 to 3 weeks. The nectar or pollen are utilized by many pollinating insects, including bees, wasps, flies and butterflies. Arguably the best of the native pycnanthemums, if for no other reason than the effective length of bloom, which can often exceed two months from mid-summer to early fall. The nectar-rich flowers are highly attractive to many insects, including small and large bees, wasps, beneficial flies, butterflies and skippers. 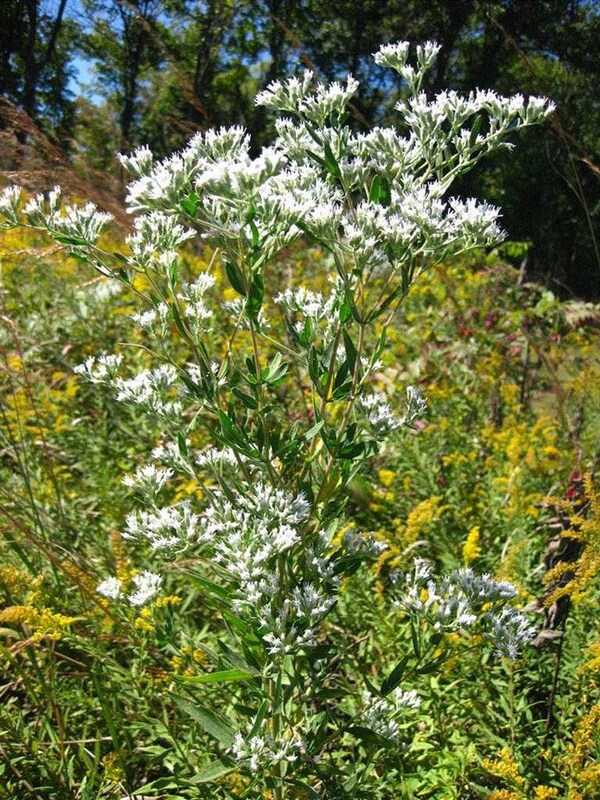 Other species of native mountain mints to consider include hairy mountain mint (Pycnanthemum pilosum) and slender mountain mint (Pycnanthemum tenuifolium). The attractive yellow April flowers of sassafras are often overlooked by winter-weary gardeners bedazzled by other more showy ornamentals flowering at the same time. Nonetheless, both nectar and/or pollen are collected by a wide range of insects, including bees, flies, wasps and beetles. The foliage is also an important food source for the caterpillars of both the Spicebush and Tiger Swallowtail butterflies. Figwort will never win any contests for photogenic flowers, but its value to native pollinators will be evident to any gardener who ventures to cultivate it. Best in part sun to medium shade, in medium to moist soils, provided there is adequate drainage. Flowering from mid-summer to early fall, individual blooms last about one month. The small flowers are best viewed with a magnifying lens, which reveals they are essentially nectar-laden buckets that are highly attractive to a wide range of bees and wasps. Ruby-throated hummingbirds find figwort irresistible, rewarding them with both abundant nectar for quick energy, and a plethora of tiny, winged insects that provide protein to build food reserves for their long migration to their wintering grounds. Not for every garden, but for pollinator gardeners willing to tolerate its large size and curb its spreading nature, cup plant is an excellent provider of both pollen or nectar to the many types of bees, butterflies, wasps and flies that visit the flowers. Various birds eat the seeds, particularly finches. Birds will often drink or bathe in the temporary pools of water that form in the cup-like leaves after rainfall or overhead irrigation. After a hard frost, the sturdy square stems can be harvested, cut into short lengths, and recycled in a DIY mason bee hotel project. An important source of nectar for Monarch butterflies migrating south to their wintering grounds in Mexico, New England aster flowers also provide either nectar or pollen to many other butterflies and a variety of bee species. Nectar from the flowers of aromatic aster are an important late season food source for a variety of bees and butterflies. Some bees also collect pollen from these flowers. The flowers of both our native basswoods are pollinated by a variety of bees, flies, moths, and other flying insects visiting the blossoms in search of nectar. Var. heterophylla, formerly known as Tilia heterophylla, is very similar to the straight species except that is has whitish leaf undersides and its flowers are slightly smaller but arranged in larger 10-25 flowered cymes. 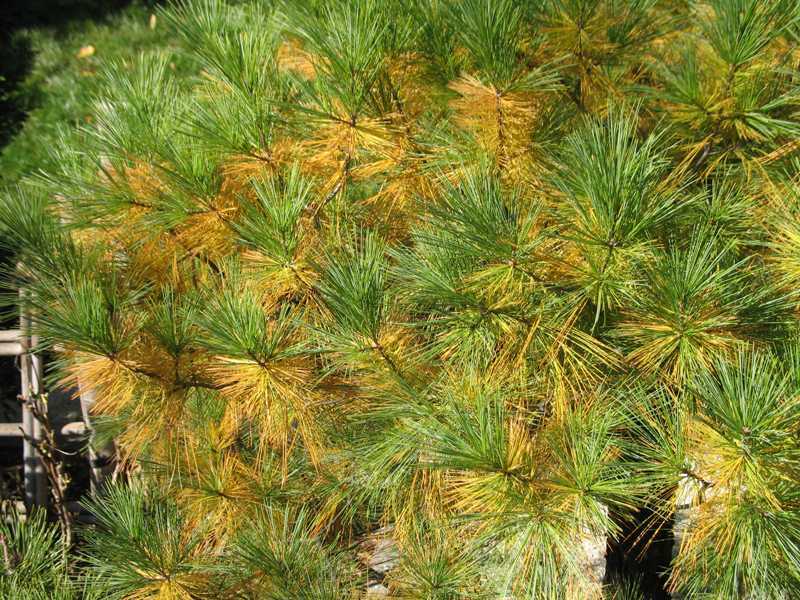 A tree of this variety growing at the Missouri Botanical Garden measuring 103’ tall has been declared a National Champion by the not-for-profit organization American Forests.